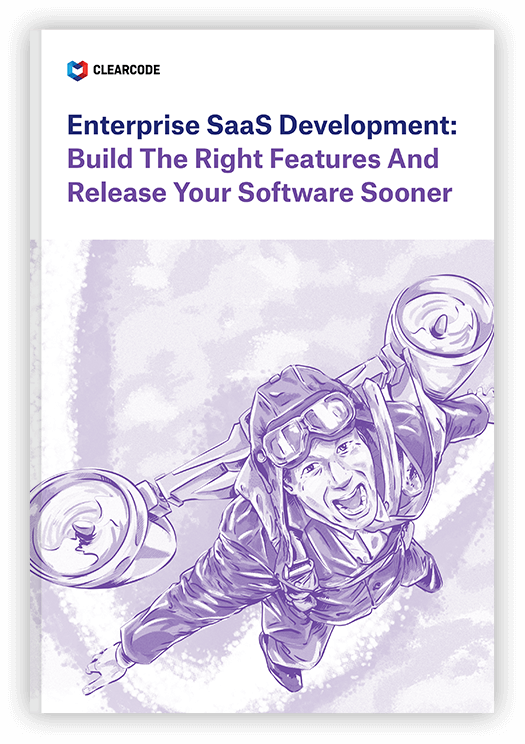 While this method is still relevant, mainly for large enterprises, another method of software delivery is promising great advantages to SMEs and big business alike – SaaS. Software as a Service (SaaS) is an exciting, rapidly growing area in the cloud-computing industry. Compared to the traditional method of installing the software directly on a computer or server, SaaS is delivered to the user via the Internet. As you can image, this type of software delivery encompasses many advantages in terms of cost, time, ease of use, and maintenance. What started out as just another revenue stream for software providers is now one of the fastest growing areas in the cloud-computing space. According to Juniper Research, SaaS will represent 59% of the enterprise cloud-computing market in 2018. However, SaaS isn’t suitable for everyone. To help explain the differences between SaaS and on-premises, and their respective advantages in the context of business, let’s quickly look at a real-life example of a service that is available in both forms of software delivery – Piwik PRO Makreting Suite. Piwik is the leading open-source web-analytics platform used by individuals, small- to medium-sized corporations, and also governments for web- and intranet-based analytics. Piwik PRO contains all the benefits associated with SaaS; it’s cost-effective, reliable, and completely free of any ongoing technical participation from the user. In the case of Piwik Cloud, a user pays a monthly subscription based on their level of traffic, and accesses their Piwik instance via the Internet. As the service is hosted externally, the user has no interaction or control over the server or infrastructure on which the instance is stored. All of the technical elements associated with supporting, monitoring, and upgrading the Piwik platform are handled by the technical team from Piwik PRO and often require very little, if any, involvement from the Piwik Cloud user. For a majority of businesses, this cloud-hosted version is often the most economically sound choice. Downloaded over 2.1 million times, the on-premises version of Piwik is available under a GPL license and can be installed on most servers (some initial technical requirements need to be met). Unlike the SaaS version, Piwik on-premises web analytics is installed directly onto a company’s server. Piwik self-hosted requires constant maintenance and ongoing servicing from the company’s IT department. This type of setup is popular among large corporations and governments that have strict security and privacy policies requiring software to be installed internally on the company’s infrastructure. The choice between SaaS and on-premises software for most companies comes down to the benefits offered by each. One of the main advantages offered by SaaS is the financial savings companies can make, as in most cases, the only cost involved in using SaaS is the subscription. All of the costs associated with the server and infrastructure are covered by the company providing the SaaS application. By using SaaS, companies can save a lot on the human resources that are usually required for servicing the application and on overall operating expenses (OPEX). The financial benefits of SaaS can also be enjoyed by the software providers themselves. By offering their software as a service instead of a tangible software product (i.e CD or downloadable application), they are heavily combating software piracy and taking back some of the $59 billion that is lost globally each year due to pirated software. Delivering software as a service also allows providers to offer a more affordable option to users, while at the same time maximising the income derived from subscriptions. Adobe’s Creative Cloud is one of the most recent and well-known examples of a business shifting its focus from the on-premises, perpetual-licensed software to the SaaS version. The company that hosts your application will handle all the technical aspects, including updates to the infrastructure and the application. Another common feature of most SaaS applications is the ongoing user and technical support. While this is not always something included in SaaS applications, the fact that more and more companies are offering this extra support is just another reason why SaaS is becoming a popular choice. For applications that collect data over time, such as analytics services and CRM systems, the need for scaling the application is quite common. The main advantage offered by SaaS here is that scaling the application is again handled by the SaaS provider. Usually, the cloud infrastructure setup allows the application to scale up when receiving an increase in usage, without affecting the performance of the application. In this case, the business would only need to upgrade to the next plan tier, as the server and infrastructure upgrade is organized by the SaaS provider. When the need for scaling the application arises with on-premises software, the company needs to bear the costs and time associated with the upgrades. While the on-premises version requires more technical knowledge and higher servicing commitments, it also provides many benefits. This is one of the biggest advantages for companies and the main reason why on-premises software is quite often the only choice, especially for large companies and governments. In a time where user privacy is being exploited and misused, the need for businesses to protect their data and information has never been greater. Storing software on premises not only provides companies with direct control and protection over their data, but also with greater flexibility over its use. Referring back to the example of Piwik on-premises, a company can combine the raw data from Piwik with data from other services – such as their CRM systems – allowing them to create a full customer profile. This freedom and ability to integrate different on-premises software is a highly attractive advantage for large companies. Even though some SaaS providers comply with strict security, data ownership, and user privacy regulations (as is the case with Piwik Cloud), the only way to comply with stringent company and government policies is to host the software on-premises. The control and flexibility offered by on-premises software allows companies and governments to implement a variety of security measures to further protect their services from attacks. Depending on the software’s license and proprietary rights, on-premises software allows companies to customize, tweak, and configure certain elements within the software to tailor it to their business needs and requirements. Recently, many companies have made the switch to SaaS applications due to the cost and ease of operation, and while some software providers are aggressively moving towards a SaaS-only option by no longer offering updated versions of their on-premises software (for example, Webtrends), there will always be a need for on-premises software, especially in large corporations and governments where data ownership and security are paramount. To find out how Clearcode can help you build a SaaS application, please contact our sales team for a FREE project consultation. What Motivates a Developer to Contribute to Open-Source Software?